In-Ground Trampolines are the best! But don’t take our word for it; here is what our authorized dealers have to say. Interested in becoming a dealer? Give us a call! “I wanted to let you know we truly appreciate and value our relationship with IGT. Communication and interaction with, and responsiveness from your staff is excellent. The quality of your products and the ease of installation far surpasses all others on the market, and makes our job of marketing and installing seamless. The true test is born out by the feedback we’ve received from satisfied, happy customers. - Ciro, E-scapes Landscaping, Pepperell MA. “Jump On It Trampoline, LLC. has been a long time IGT dealer and will continue to be one well into the future. IGT product quality and support services have always been exceptional. We are privileged to have the opportunity to offer our customers unique and exciting products of the highest quality supported by unmatched manufacturer warranties. IGT has worked diligently and successfully to make the Dealer ordering process simple and efficient through its development of the online Dealer Network. IGT also strives continuously to improve the quality, performance and ingenuity of its systems by seeking out dealer feedback. “What can we (IGT) do to make the Dealer experience better”? And, after having installed hundreds of In-Ground Trampolines systems themselves, IGT has gained the expertise to assist dealers with every aspect of product installation, marketing and customer satisfaction. These efforts have resulted in the production of an in-ground trampoline system that is unparalleled not just in quality and innovation but in ease of installation. “When I began Recreation Pro, I wanted to provide my customers with the best. A safe, quality product; nothing cheap, no shortcuts. My inground trampoline search was in-depth, and the end result was partnering with Jack Gee and In-Ground Trampolines (in-groundtrampolines.com). Their customer support is outstanding, and their product is second to none. They are constantly making improvements, and to my knowledge, they offer the ONLY trampoline that doesn’t loose its warranty once it’s placed in the ground. In fact, they offer the only system I know of COMPLETELY designed to go inground; all other systems are built around modifying a regular above-ground trampoline. Jack and his team have created an excellent product that has provided personal enjoyment for me and my family since its installation in 2012. 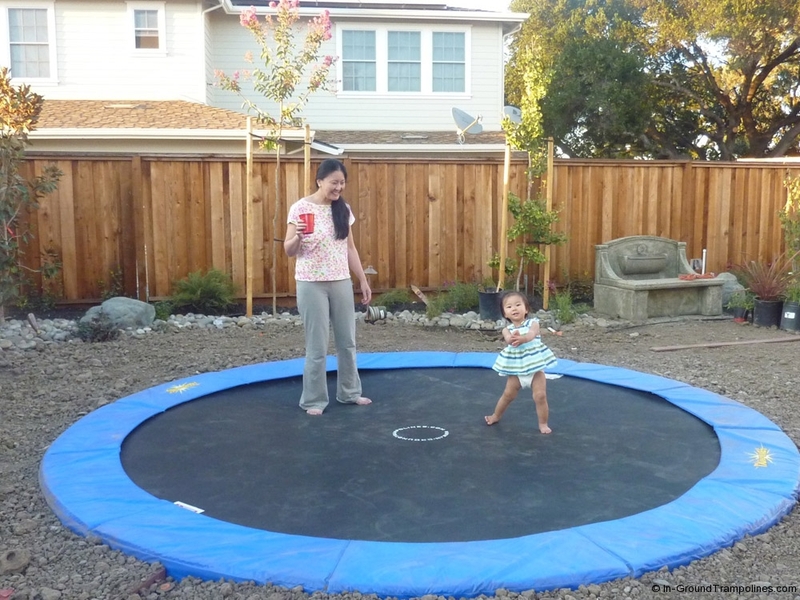 There is no better inground trampoline on the market, period, and that’s why I use it for my family and for my customers.